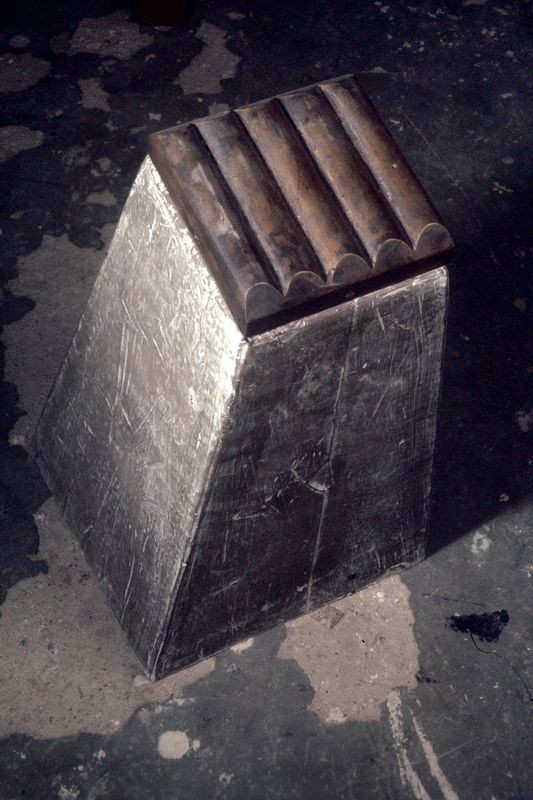 A series of sculptures in cast concrete, mild steel, wax, and other mixed media. Installation dimensions variable. This body of work developed from looking at architectural structures, and their phenomenological qualities. These are structures that drain, filter or cleanse various liquids, whilst the "filters" decay over time.